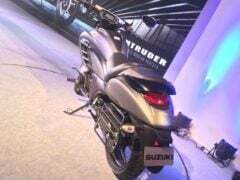 Suzuki Motorcycle India Pvt Ltd (SMIPL) has finally launched its 150cc cruiser motorcycle, the Intruder 150. 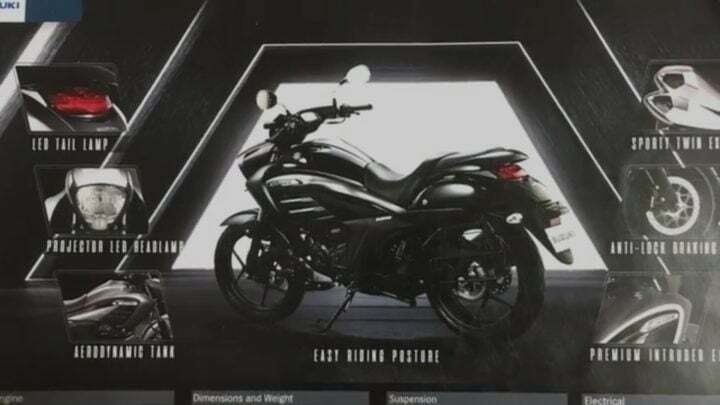 Suzuki is marketing the new model as India’s ‘modern cruiser’. The Intruder shares in plenty with the Gixxer range and shares much of its specifications with the streetnaked motorcycle. This means that even the mileage remains largely the same. 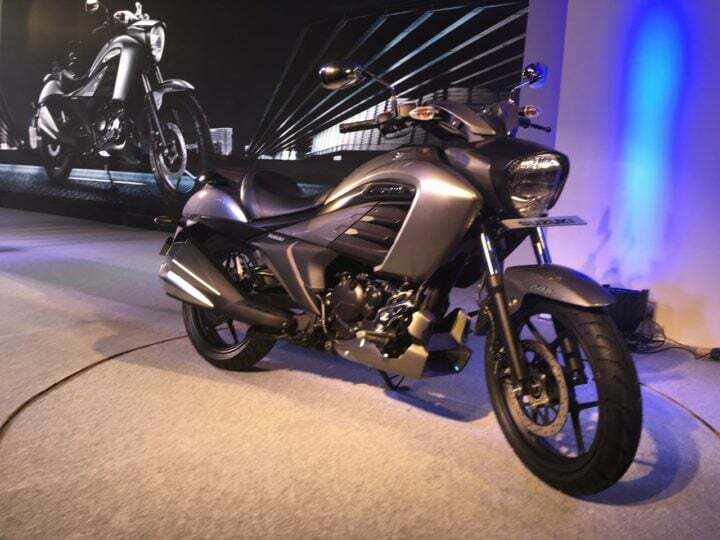 The Suzuki Intruder 150 price is Rs 98,340 (ex-showroom, New Delhi). 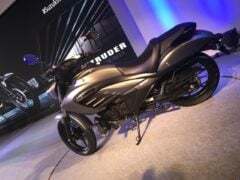 Hence, the new model is costlier than its main rival, the Bajaj Avenger 150. However, it offers many more features, like a digital speedo console and a single-channel ABS. Here, in this post, we have put together all the important details and images of the Intruder 150. The new model has gone on sale at an ex-showroom price of Rs 98,340 (ex-showroom, New Delhi). At this price point, the new cruiser motorcycle is considerably pricier than the Gixxer 155. It is also costlier than its main rival, the Bajaj Avenger 150. However, it makes up for the higher cost by offering more features and a striking design. The Intruder 150 takes plenty of design inspiration from the Intruder M1800, which is heralded as the big daddy of power cruisers. The new model looks all set to make the entry-level cruiser segment more popular in India. 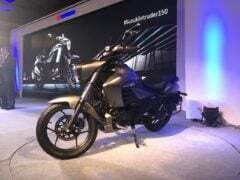 The latest motorcycle cruiser motorcycle shares its engine with the Gixxer 155. That said, the company asserts that the motor has been fine-tuned to suit the characteristics of the new motorcycle. The power, torque, and most other specifications, however, remain bog similar. The engine offers a maximum power of 14.5 BHP at 8,000 RPM and a peak torque of 14 Nm at 6,000 RPM. Power is sent to the rear wheel via a 5-speed Manual Transmission. The new model weighs 148 KGs. Like we said, the engine comes from the Gixxer. Hence, even the mileage remains mostly the same. This 154.9cc engine offers roughly 55 kmpl on the highway and around 50 kmpl in urban riding conditions. So, are your thoughts on the new Suzuki Intruder 150 price? Do you think it justifies the higher price tag it commands over the Bajaj Avenger? Let us know by commenting below.